Sometime in September 2013, with a very heavy heart, we bid adieu to our wonderful Tata Safari. It was quite a tourer and had taken us a lot of places including the mystical land of Ladakh in 2012. The good thing was that it was changing hands with another of our office colleagues and we'd still get to see it sometimes. But as they say, old memories must make way for new ones. So the end of one relationship was going to mark the beginning of a new one. 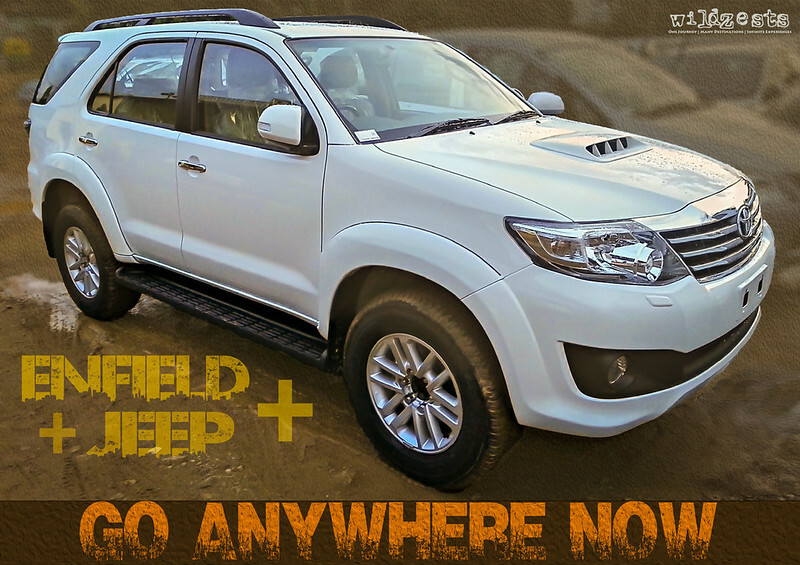 Our hunt started with the Ford Endeavour which couldn't materialize due to various reasons and we landed up at the Toyota showroom ogling at the Fortuner. Soon, dreams turned into reality and we brought home the white monster. There was always this thing bothering us on whether we made the right choice of switching the Safari for the Fortuner since there were some trade-offs to be made. But all our doubts vanished when we got the new car registered. By sheer luck, we got the same 8515 legacy from the Safari carried over to the Fortuner and it was nothing less than a sign that this was a worthy successor to our old steed. Given that this was going to be Gozu's new car and she was super excited about it. A detailed ownership log can be found on TBHP here: Toyota Fortune-Her: A ride for the wife & maybe for life!